These are the Then Keys to Total Freedom. They are a way of living that will help you expand your capacity for consciousness so that you can have greater awareness about yourself, your life, this reality and beyond. These are the Ten Keys to Total Freedom. They are a way of living that will help you expand your capacity for consciousness so that you can have greater awareness about yourself, your life, this reality and beyond. With greater awareness you can begin creating the life you've always known was possible but haven't yet achieved. If you will actually do and be these things, you will get free in every aspect of your life. People have used these Ten Keys to get over depression, lack of money, relationship issues, body problems and many other situations that have seemed insurmountable. 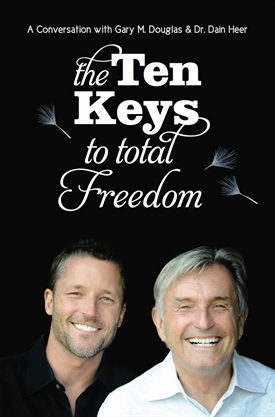 Gary Douglas & Dr. Dain Heer explored the Ten Keys to Total Freedom in detail on a series of telecalls and conversations over a period of ten weeks with Access Consciousness® Facilitators and other people from all over the world. This book is based on these main principles of Access Consciousness® that have changed, and continue to improve, people's lives worldwide.